Explorers seeking the farthest reaches of human civilization will find what they’ve been searching for on our Ny Ålesund, Norway cruises. The gateway to the top of the world, Ny Ålesund served as the starting point for many historical attempts to reach the North Pole. Today, its awe-inspiring views and tight-knit community are a testament to the beauty of our planet and the people who call it home. You may be wondering how a town such as Ny Ålesund came to exist. And you’ll find the answers in the Ny Ålesund Town and Mine museum. Housed in a building originally constructed in 1917, this informative museum traces the history of Ny Ålesund all the way back to the 1600s. From here, explore around town and discover monuments to Ny Ålesund’s coal mining past and explorer Roald Amundsen’s original airship mooring mast. While in Ny Ålesund, it’s impossible not to get caught up in the vast expanse of the Kongsfjorden inlet, home to the Kronebreen and Kongsvegen glaciers. As part of the backdrop of Ny Ålesund, you’ll also find Dana, Sve, and Nora—the Tre Kronor peaks. Towering as high as 1,226 meters above sea level, these peaks showcase the frozen landscape at its finest. Before returning to your Azamara Club Cruises® ship, stop by the northernmost post office in the world to send a postcard home from the edge of the world. Send a postcard to your loved ones from the northernmost post office in the world. International letters mailed from here include a polar bear stamp, while domestic mail receives a unique stamp that explorers will only find in the Ny Ålesund post office. 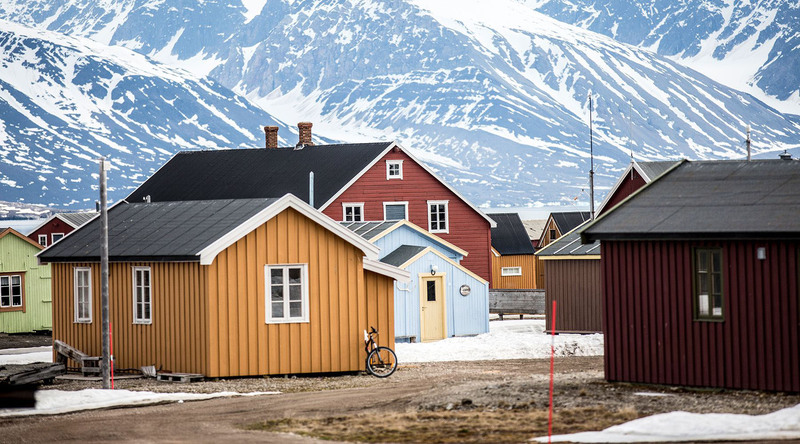 The last museum before you reach the North Pole, The Town and Mine Museum offers visitors a first-hand look at Ny Ålesund—tracing its history from the 17th century, through its time as a mining town and adventuring gateway, to its role today on the forefront of climate research. Roald Amundsen, a Norwegian explorer and national hero, started his expedition to the North Pole from Ny Ålesund in 1925. Located near the North Pole Hotel, this simple bust and monument is the perfect spot to pay tribute to the intrepid Arctic explorer.